To follow up my last entry, many readers will enjoy the wisdom passed on below by former bodybuilder Leroy Colbert. In the following video, he shares some thoughts regarding the strength that he developed at young age. 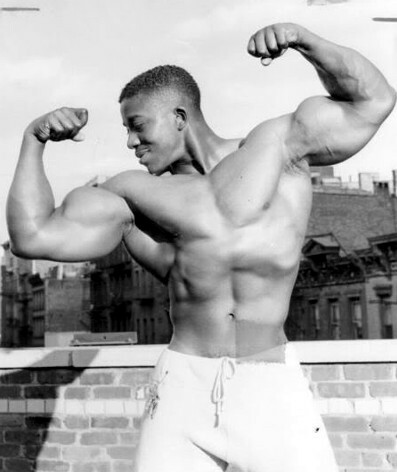 Born in 1933, Colbert is known for the massive arms that he developed naturally as a young bodybuilder. Unfortunately, his bodybuilding career was cut short after a tragic motorcycle accident in 1955. Yet despite what was a short career, he was still inducted into the IFBB Hall of Fame in 2003. It was not until recently that I became aware of Colbert’s Youtube channel. He has videos covering a vast array of topics, but it was the video above that captured my attention. First and foremost, it is certainly impressive to see that he still packs considerable arms for an 81 year old man. More importantly however, Colbert touched upon a significant point in regards to exercise frequency. Although I am not quite half his age, I too have noticed that I do not need as much time to maintain my current level of strength and fitness. Many years ago, it was not uncommon for me to exercise multiple times a day for what amounted to 3+ hours of training within each 24 hour block. Now that I am older and have more responsibilities in life (ex. work and family), I do not have time to exercise for several hours a day. As mentioned in my last entry, I am lucky to find an hour of uninterrupted time. Yet despite training less than I did at an earlier age, I am stronger than I have ever been. And while I do not credit shorter workouts for my increased strength, I do recognize the significance of the foundation that I built over many years. Regardless of what I do today, I am still at least partially a product of my past. Yet to no surprise, an athlete’s past rarely receives as much attention as it should when considering their current abilities. It is much more common to focus on what we can see with our own eyes. Doing so is a mistake however. What you are able to do now is at least partially based on what you did previously. Athletes are not developed overnight. It is a timely process. Therefore, when examining what someone does today, always begin by questioning their past. For instance, just yesterday I was asked how often I perform the core-based pushups that I demoed last week. I received the question from a young man who wanted to copy what I do. Unfortunately, it is not that easy. I explained to him that I have performed standing rollouts since before he was born. For him to copy me now would not make sense. He has not established the foundation that it took me years to develop. Therefore, just because I may perform a rollout variation each day does not mean it makes sense for anyone else. What I do now is directly related to what I did over many years. In summary, always consider the past when examining the present. This is particularly true for strength as it is often easier to maintain previous levels than it was to initially acquire. As the years pass, it is quite possible to possess high levels of strength without the marathon lifting sessions that you may have performed as a youngster. And please note, I am not suggesting that you only train once or twice a week. I continue to train each day and I would not have it any other way. My point is that you can continue to do well without investing hours upon hours in the gym each day. There is certainly something to be said for quality over quantity. This is especially true for those who invested in health and fitness at an early age. In other words, put in the work now and continue to reap the benefits as the years pass. in my past post my old man fingers hit the 905 key stroke and it should have read…’ in about a yr. at that gym i was outlifting 90% of the seasoned trainers on all the basics!’ sorry about the user error!!! That is an impressive arm for someone 81 years old. Impressive shoulders too. Bodybuilders from back in Leroy’s day looked so much better than the bodybuilders of today. Guys back in Leroy’s day did full body workouts every other day, no of this one bodypart per day crap. Doing a full body weight workout is always best, and takes much more stamina than doing a hour of curls. If you are just interested in strength and perhaps building some muscular size, you’re best bet is to adopt the training methods that Leroy espouses on his videos. Of course, Colbert is talking about training as a bodybuilder and he isn’t concerned with conditioning. On one video, Colbert questions why bodybuilders waste their time with cardio. I would agree with Colbert on that one if ones interest was bodybuilding and not fitness, cardio should play a minimum role or no role at all in their training. Bodybuilders of the past or in Leroy’s day would just speed up the tempo while lifting, taking very brief rest periods between sets, and of course diet very strictly to strip bodyfat. For a “bodybuilder” to spend 3 hours a day doing cardio seems pretty useless.